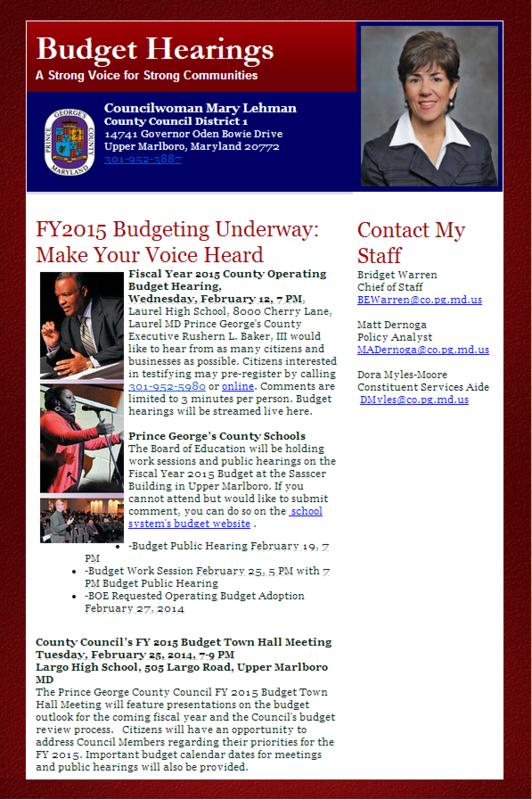 The Prince George’s County Council FY 2015 Budget Town Hall Meeting will feature presentations on the budget outlook for the coming fiscal year and the Council’s budget review process. Citizens will have an opportunity to address Council Members regarding their priorities for the FY 2015. Important budget calendar dates for meetings and public hearings will also be provided. This event is free and open to the public. To watch live, please click here.